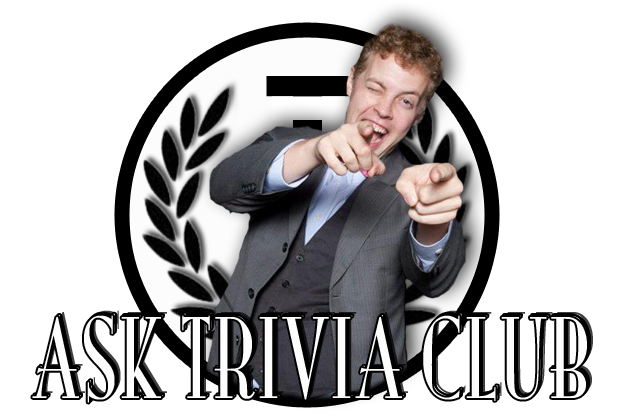 ASK TRIVIA CLUB #004: DAVID BOWIE PERSONALITY POWER RANKINGS! Due to the scope of this question, this will be our first ONE QUESTION edition of Ask Trivia Club, because it's possible not to get into this without saying some words (so much some, wow, many words) on the man with the permanently dilated left pupil, himself. HAPPY 68th BIRTHDAY, BOWIE! This present is a little late, but it's for you. As Rolling Stone put it when they were listing the 100 Greatest Singers of All-Time, and not getting into the ranking they gave David Bowie because THEN this #AskTriviaClub answer would be in RE: to the fine folks at Rolling Stone, “…nobody else in rock is as gifted at acting in song.” Yes, trained in theatre and well-known for this handful of marvelous roles even when it verges on stunt casting (see: Bowie as Warhol, and Bowie as Tesla, among others) he’s a chameleon. And when it comes to his music, the chameleonic transformations aren’t just in his appearance but also in his voice. So, if I may, here are Trivia Club’s David Bowie Personality Power Rankings. Or the TC’s DBPPR for the people who clearly don’t get enough letters in there acronyms (seriously, calm down people). The most recent of Bowie’s divergent personalities, it’s also his most sparse and at the same time spiritual. All that aside, it’s also a name that hinges on a pun. Well played, Bowie. Based on his birth name, David Jones, and his then recent bond offering to the Dow Jones Index. Tao, a Chinese character pronounced "dao," not only stands for the Chinese equivalent to Bowie's first initial, "D", but also has heavy religious implications through its correlation to Taoism, therefore contributing to the religious overtones of "Pallas Athena." “Pallas Athena” is itself a moody techno dance piece with sparse lyrics that are repeated in a somber, monk-like fashion. The only known performance of Bowie as Tao Jones was in a dance tent at Phoenix Festival in 1997. A real cool cat who lives in the decaying city, Halloween Jack is only this high on the power rankings (and still not that high at all) because of the general strength of Diamond Dogs as an album. Otherwise Jack is the lesser of the two post-Ziggy personalities that are still totally Ziggy, still with the same haircut, with that same glam-trash style, but just in a different city with a different name. It has to be said that Diamond Dogs is an exciting album however, a concept record, Bowie’s ninth, that was originally conceived as the music to a theatrical production of George Orwell’s Nineteen Eighty-Four because the author’s estate denied the rights. So you can mark THAT, as another in a long line of unbelievable alternate reality entertainment possibilities. Jack is, in part, Bowie’s glam swansong and last tried and true capital-P Personality. The lead character in a story set in a dystopian 1999, Adler’s world is heavily influenced again by Orwell’s Nineteen Eighty-Four, but this time brought to bare against the coming of the new millennium. Bowie writes Adler as an investigator in a new bureau created to combat a new phenomenon of Art Crime. In a future where murder and art are almost indistinguishable, it’s up to Adler to be both detective and art critic, to decipher what is art and what is, in a word, trash. It’s an interesting character and concept in a purposefully disorienting world, mentions of London and Oxford make you believe that, naturally the story is set in Britain, but when it’s revealed that the cities are in fact London, Ontario and Oxford, New Jersey, the lines continue to blur. 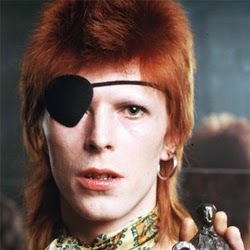 It’s Bowie at his most nihilistic but centered, at the end of the century. The character was never performed live. 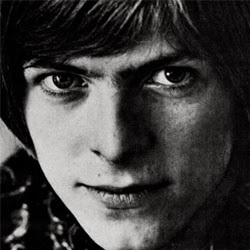 Though Jones isn’t as widely known by many who know of Bowie’s music, he is still the boy that was named on the same day as Elvis in Brixton, London. A school mate of Peter Frampton, as of the age of 15 a tireless muscian who jumped from band to band, eventually becoming dissatisfied with being mistaken with one of the damned Monkees and eventually deciding a on more unique name, one that “cuts both ways”. Still, you don’t get to where you’re going with knowing where you’ve been, so hearing Davie Jones earlier works with the likes of the King Bees, The Buzz, the Lower Third, The Konrads, and the Riot Squad paints a clear picture of a kid with potential, with ideas, and especially with his background in theatre and mime, showing a vivid and strange being bursting at the seams. “In a time long long ago a sorcerer named Jareth fell in love with a girl named Sarah. Sarah’s father and stepmother would not let her marry Jareth because they wanted her to keep her, as a servant, to care for their other child. In a fit of rage Jareth kidnapped this other child and spirited it away to the fairy world. In this new world Jareth built a palace for his Sarah. He turned the spoiled child into a goblin, and kept it to be a servant. Many stories of the fairy world tell us that time moves differently there than in our world (Rip Van Winkle for one). In the time it took for Jareth to build his kingdom, which he may have thought was little more than a few years, Sarah grew old and died. 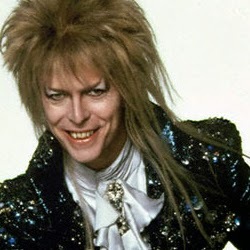 Overcome by grief and addled by a lifetime spent in a strange world filled with monsters, Jareth went mad. He refused to believe that he has lost his love. He searched the mortal world from his castle, looking for her. Sarah is Hebrew name. So, it is common, and has been in use for thousands and thousands of years. It does not take long (for him) to find a dark haired girl named Sarah, who has a younger sibling, and who feels that she is treated unfairly by her stepmother. In a fit of rage he kidnapped these children and spirits them away to the fairy world. Perhaps this new Sarah dies in the quest to find the child; perhaps she wins her sibling back and flees. Although technically a new Bowie character, Aladdin Sane (A Lad Insane) was essentially, as David Bowie put it “Ziggy goes to America”. See, every rock and roller goes through a moment of reflection, hell every musician for that matter, when they become a rock STAR. Bowie was no different. 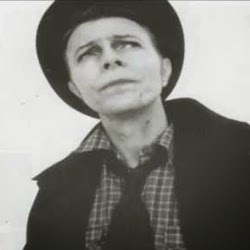 So with the Ziggy Stardust and the Spiders From Mars tour culminating in Ziggy’s “retirement”, essentially putting the character the character to bed so he didn’t have to be Ziggy for the rest of his career on top of being David Bowie, he still (in creating Aladdin Sane) took Ziggy’s appearance and persona developing it as a mode of transition. 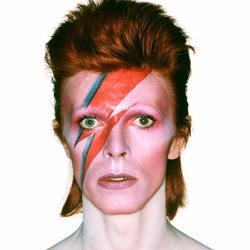 Aside from the kickass cover to Bowie’s sixth album, an all-timer among his many great photos, Aladdin Sane is best used as a symbol for Bowie’s kind of schizophrenia, now world famous for his most daring personality to date, yet still a burgeoning artist yearning for more and ready to fight against the fame. A lightning bolt down the middle. Duuuude, what the difference a name change makes. 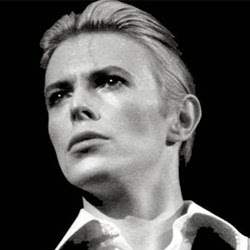 Though he changed his nom de plum from Jones to Bowie in 1967, it wasn’t until his second studio album The Man Who Sold The World, that historians of ROCK really agree that Bowie emerged in all his alt, androgynous glory, splayed out on the album cover in a man’s dress, artistically directed by fashion designer Michael Fish. It was then after that Bowie became, and still remains the default personality, and because of the personalities diverse facets of its very own, is at number four. You can’t fault that body of work, because DAMN, but you just can’t nail down the defining characteristics like you can the top three in this DBPPR. Evolving from androgynous glam rock heavy metal balladeer of the 70’s to Mick Jagger and Freddie Mercury’s running buddy and “plastic soul” crooner in the 80’s, pre-grunge progenitor in the 90’s, to the patron saint and gatekeeper, helping push Arcade Fire and TV on the Radio out to the world (he even said recently, “Lorde is listening to tomorrow” before floating away on the wind), of alternative and electronic rock that we known and love today. 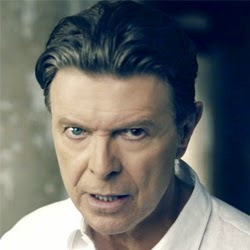 A fascist, a hollow man, and as Bowie himself put it, “an ogre of me”. Impeccably dressed in white shirt, black trousers and waistcoat, The Duke sang songs of romance with an agonized intensity while feeling nothing, "ice masquerading as fire". The persona has been described as "a mad aristocrat", "an amoral zombie", and "an emotionless Aryan superman". 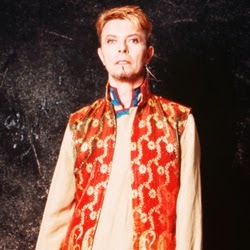 It’s no surprise that the personality that was draped over Bowie during the recording of the Berlin Trilogy, was also part of a time in his life that, as he said, he lived on “red peppers, cocaine, and milk”. It has to be said that after his time as a hero and an oddity, the Thin White Duke was most certainly Bowie trying on the role of a villain, not just an oddity but a deviant which pushed him to the edge physically. He had become SO famous thanks to Fame and Young Americans, that he had to build a personality to divert all the good away from him it seemed. It’s wonderfully poetic that “Heroes” seemed to be the song in the personalities narrative that won David Bowie away from The Duke. My wonder of the man in this form brings him up to number three on the rankings, but my conscience couldn’t bring him any higher. Some say this personality is too close to Bowe Prime as a—wait, what—they AREN’T the same person?! huh… It's what you learn along the way! How about the actual number two, then? 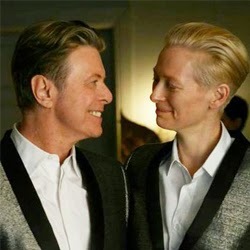 But first: Bowie playing Swinton! A persona, a song, an album, a film, a soundtrack and a tour, if you were to ask people to name a David Bowie personality on Family Feud I am certain that SURVERY SAAAAYS the number one answer is… ZIGGY STARDUST! Ding, ding, ding! And, after everything we said at the top of the column, it’s not number one, so go ahead and riot! Or, of course, that. WWDBD. Either way, I humbly request that you listen to my reasons why it IS still damn high at number two, as opposed to the reasons why it ISN’T number one. Ahem, ya calmed down? All cuddled up? Good. Ziggy Stardust is a rock star who acts as a messenger for extraterrestrial beings, and was created by Bowie while in New York City promoting his fourth studio album Hunky Dory. Ziggy Stardust is a forbearer for glamrock, thanks to his themes of sexual exploration and social commentary. The Ziggy Stardust album is consistently ranked within the top 35 albums of all-time, and let’s be honest The Spiders from Mars is a damn amazing name for a backing band. 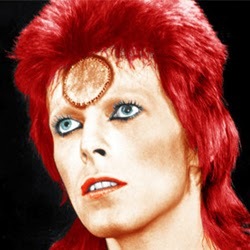 The fictional astronaut created by Bowie is the number one personality for a number of reasons. First and foremost, more then the Duke and more even then Ziggy Stardust is the way that Major Tom has permiated through popular culture since Bowie first depicted Major Tom casually slipping free of the bonds of the world to journey beyond the stars (hey, depending how you look at it, life and death is just another change of perspective, man). 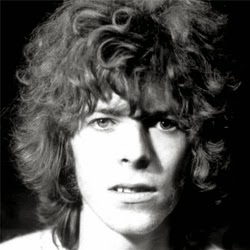 Released at a near perfect moment in the world, Major Tom’s first appearance in “Space Oddity” was used concurrently with the BBC’s coverage of the Apollo 11 moon landing, cementing it’s place in the hearts of minds of everyone who enjoyed the poetry of science while also cementing David Bowie in the popular music mind-set. Proving to be an incredibly moving, and at times heartbreaking song, I also wouldn’t be lying if I admitted it to being my first and favorite go-to karaoke song. Major Tom’s hold had such a lasting impact on David Bowie’s career, being the character of the song that launched his career, that not only would his adventures continue in a multitude of media and in the songs of other musical acts (“Rocket Man”, anyone?) but also, in two songs of David Bowie’s… the wailing, and achingly autobiographical “Ashes to Ashes”, as well as 1995’s “Hallo Spaceboy”. Because of the effect that Major Tom had on David Bowie’s influence on his life, his career, and pop culture as a whole there is no way that I can’t point at it as the #1 Bowie Personality.